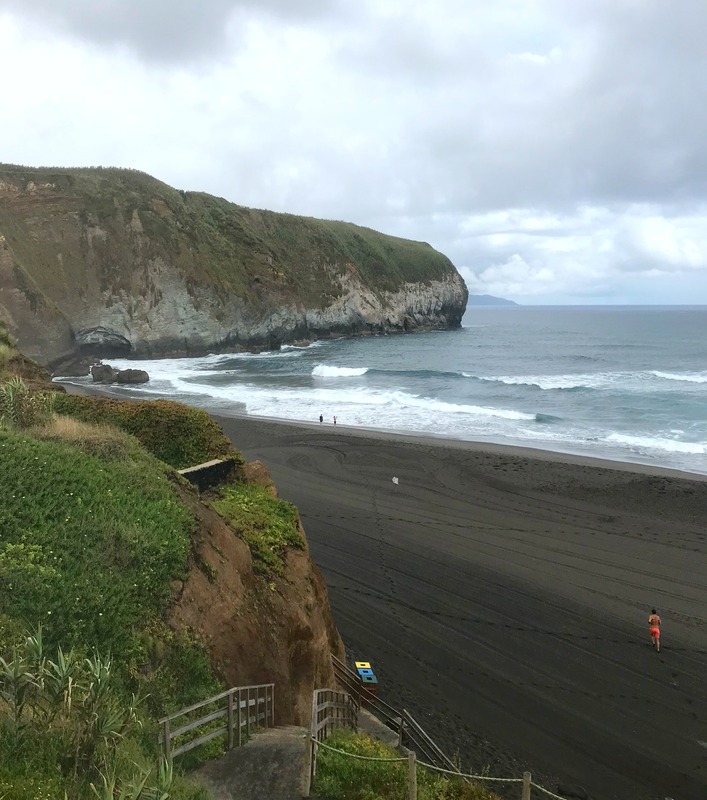 One of the things we knew we had to do in the Azores was surf. I mean, it is an island country and has good surf–we had to be sure to get out in the waves. 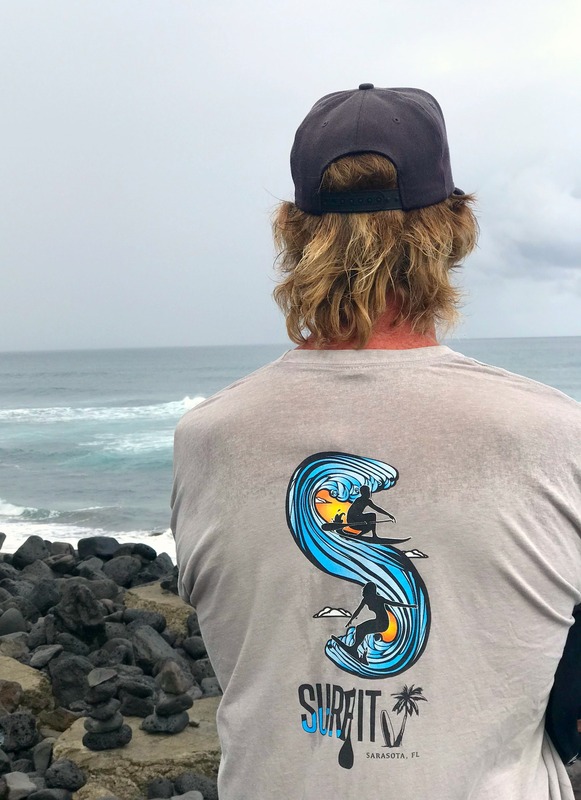 Since most of our time was spent on Santa Maria, and the islands tourism is just not developed enough to have surfboards for rent (business opportunity! ), we spent a lot of time watching beautifully formed waves go by with no one on them. Occasionally, there was a surfer or two but most of the time there wasn’t. The island of Sao Miguel, the biggest and most populated, was a different story. The town of Santa Barbara, on the islands North Shore, is considered the surf mecca. There you can find surf rentals and surf lessons, as well as a pretty decent break. We checked out both the Azores Surf Center and the Santa Barbara Surf School and both were pretty cool. 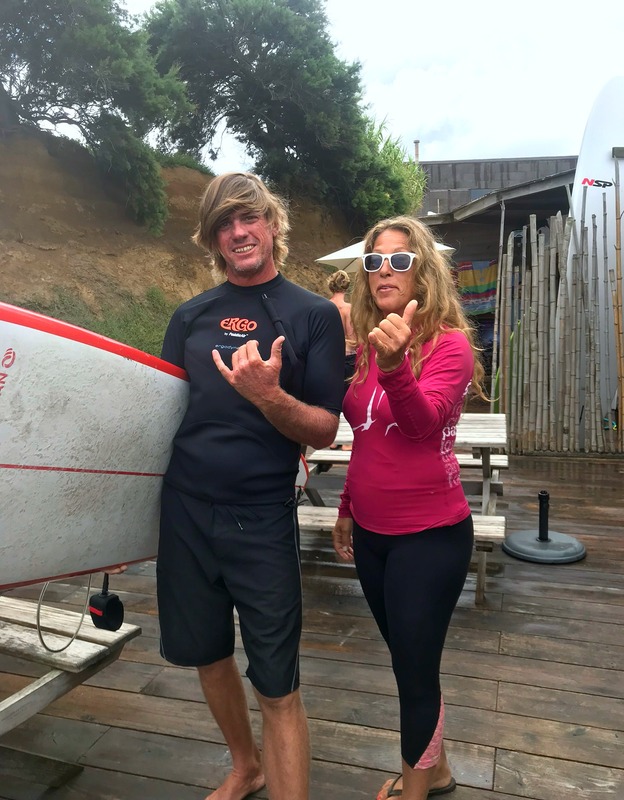 We ended up surfing at the Santa Barbara Surf School because we really liked the owner, Sergio and his girlfriend. The set up was so nice—they have a little building with showers and bathrooms at the top of the hill–where you can rent your boards or get hooked up with lessons and then head down to the beach. There were LOTS of beginners in the water but the instructors did a pretty good job of keeping people away from each other. Aaron and Sawyer headed out to the outside. The conditions weren’t the greatest but there were waves—which is a lot better than the nothing we had been getting in Florida. We saw Aaron catch a few on his rental longboard, including a good one where he fell onto his board and then popped back up again. Sawyer caught a couple too on his rental fish (a board that he now desperately wants). Nova and I played in the waves too and Sergio and Sawyer pushed her into a couple of mushy waves. After a few hours of surf play, we headed back up the hill to grab lunch. A great little cafe is right there next to the surf rental place. They had a great menu (not just Portuguese food!) 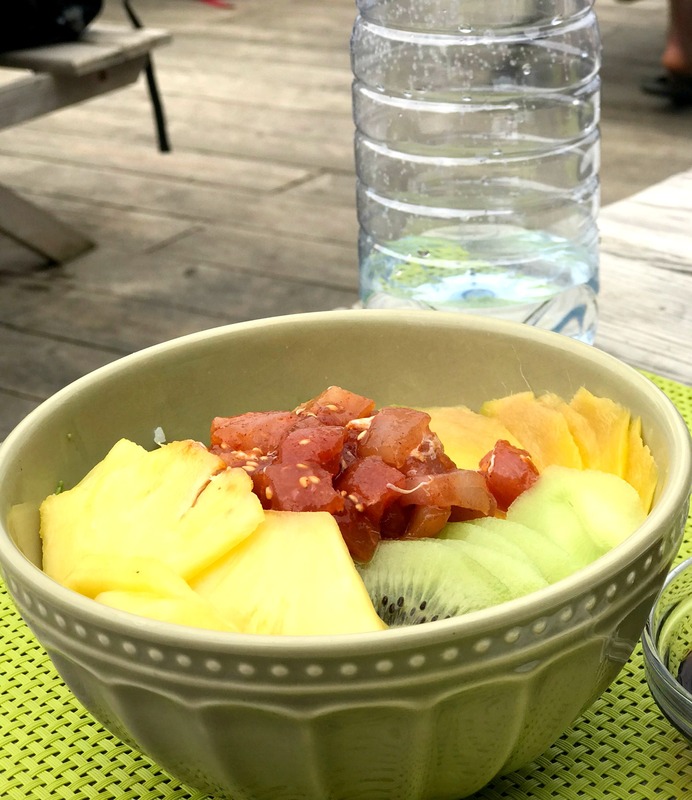 and I had a ahi poke bowl. Aaron was happy to see that they had a few craft beers but they were selling them for 9 euros each. The other beers were 1 euro and the same craft beers at Central Pub in Santa Maria were only 4 euros. Oh well! It was vacation! Santa Barbara Surf School will forever be in my memory because we ran into an old Hawaii friend while there. I started talking to a woman who said she was from Hawaii. Turns out, she dated Aaron’s best friend and had met him at the old bar I used to work at (Anna Banana’s). What a small world and a fun coincidence.